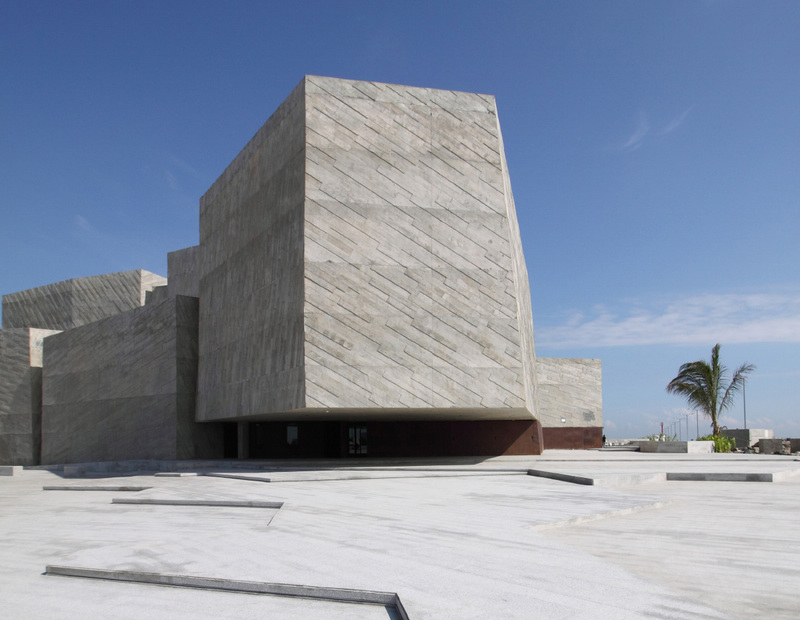 The Foro Boca concert hall opened to the public December 1, 2017 in Boca del Río, Veracruz, Mexico, with a concert by the Boca del Rio Philharmonic Orchestra featuring acclaimed violinist Joshua Bell. 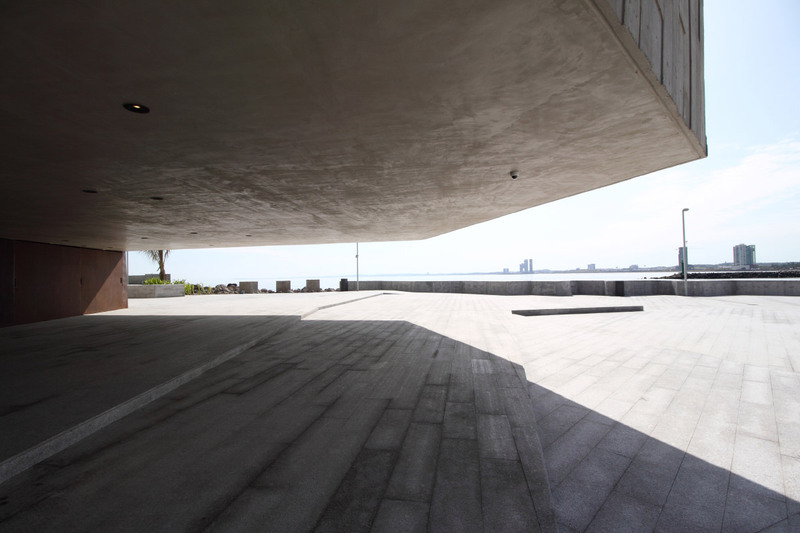 Designed by Rojkind Arquitectos, the remarkable building is the central piece of a city in transformation. Iker Gil of MAS Studio and Julie Michiels of Perkins + Will spoke with architect Michel Rojkind to discuss the main aspects of the building. 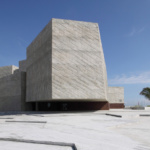 The Architect’s Newspaper: Can you talk about how you became involved in Foro Boca and how it related to the larger urban challenges in Boca del Río? 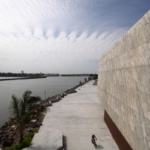 Michel Rojkind: Miguel Ángel Yunes Márquez, the then-mayor of Boca del Río, started the Boca del Río Philharmonic Orchestra in 2014, and that has since become the heart of the cultural life in the city. The mayor asked us to design a home for the orchestra, and at the time there were three possible sites. The chosen one was located in a deteriorated area of Boca del Río where the Jamapa River meets the Gulf of Mexico. We decided then to think about the building as part of a larger urban regeneration project that also could tie to a three-mile boulevard that the mayor had already started to work on to improve the pedestrian experience along the waterfront. How does Foro Boca connect to its immediate context? One of the first key aspects was to turn the nearby breakwater into a pedestrian space. Also, the building entrance, besides being protected from the strong north winds, is connected to a series of public spaces. As the mayor had already chosen granite for the boulevard, we included it in our project so that the boulevard would go right into the building. 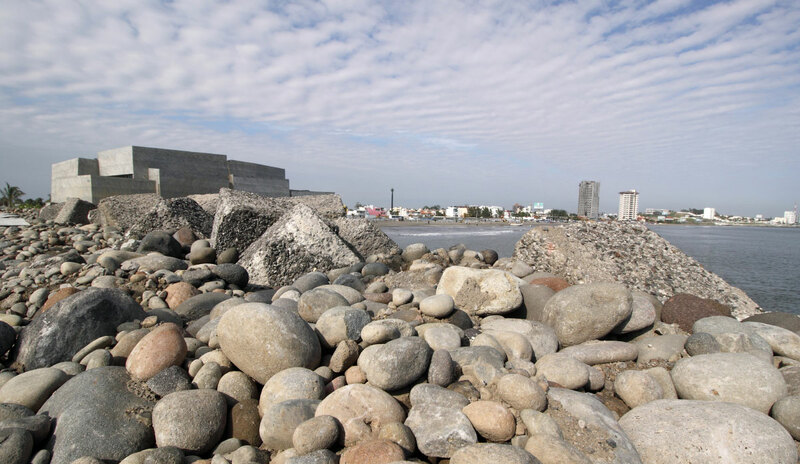 Our aim was to make sure that the public spaces were considered as important as the building, giving back to the community by extending our plazas toward the beach, the breakwater, and the city. 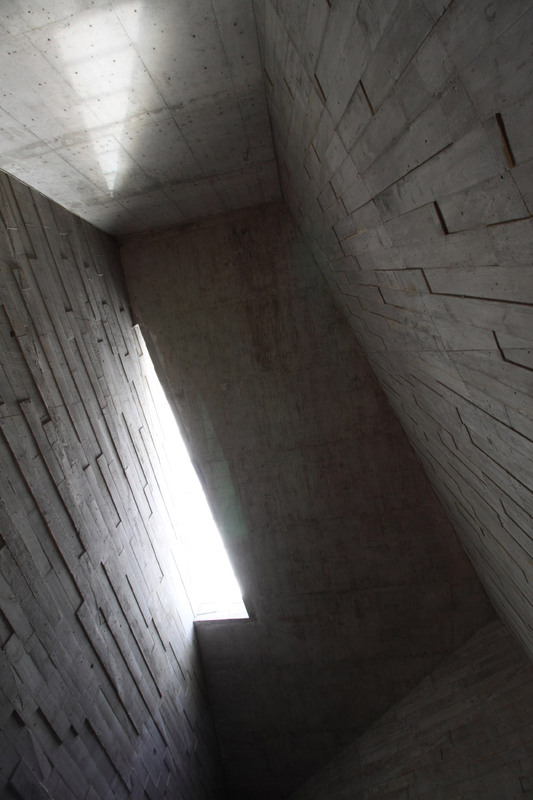 The building is raw, powerful, and stripped of superfluous elements. Can you talk about its overall composition and materiality? 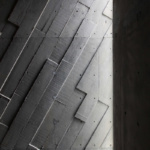 We wanted to use a material that was able to withstand and respond to the harsh conditions of the place, so we chose concrete with a texture running in different directions. We were interested in the way it would develop a patina over time, similar to the nearby rocks in the breakwater. Initially, the project started as a big box that we broke down into smaller programs to give it the proper scale toward the beach, the pier, and the city. 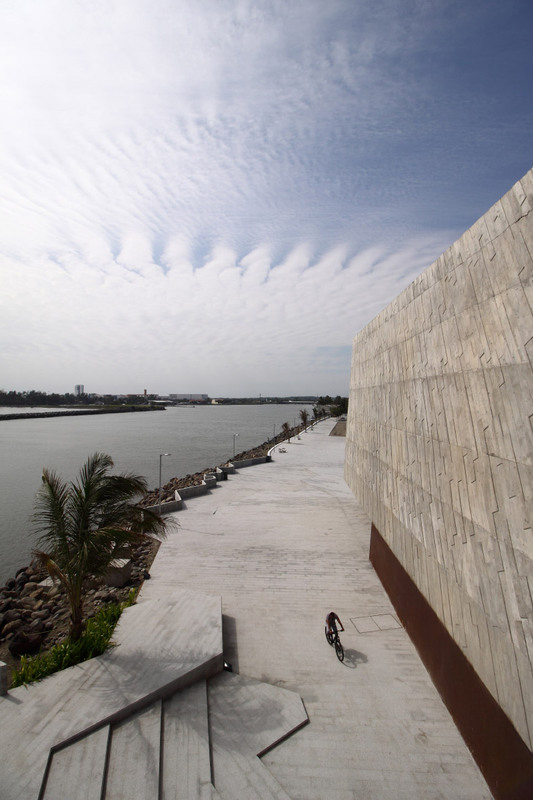 As you move around Foro Boca, your perception of the volumes’ scales changes. And it was important for us to make a building that had no front and back. For instance, the area where the trucks load and unload the instruments becomes an exterior plaza. It is about creating overlapping uses rather than hiding them. The interior of the building also challenges our perception of scale, with an interesting sequence of compression and release. As you enter the building under a compressed space defined by a cantilevered volume that is 7.5 feet tall, you begin to understand the spatial organization around the main concert hall. 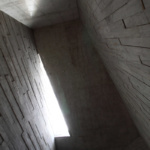 The double- and triple-height spaces with skylights are quite dramatic, as you are coming from the dark compressed entrance in contrast to the exterior light and then it opens up to these spaces with light washing the walls. And there is a sense of fluidity in the spaces. You see people going up the stairs, moving through the mezzanines, and entering the concert hall through different access points. It was important for us to translate the continuous movement that is present in music or in the nearby waves. Foro Boca continues with your studio’s philosophy of providing added value to each project, envisioning new opportunities beyond the original scope of the project. Can you describe how added value manifests in this specific case? Besides the main program of housing the orchestra, we wanted to design a space that could accommodate multiple activities at the same time and host diverse cultural manifestations, not just concerts. After the opening concert, Foro Boca hosted White Canvas, an audiovisual piece by Cocolab, and a few days later the first edition of the National Book Fair in Boca del Río. Now that there is a building that can house all these activities, there will be more and more opportunities to bring interesting artistic expressions. The important thing is to maintain the quality of the culture that is inside. 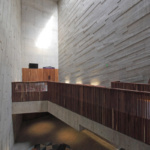 It is interesting to consider Foro Boca in relationship to your Cineteca Nacional project. Both public buildings commissioned by the government, they have similar ambitions as civic anchors beyond their specific programs. Can you talk about the relationship between both projects? When I started to work with the mayor on Foro Boca I was a bit skeptical because I had a really hard time with Cineteca Nacional. We were being criticized for a building that had opened to the public unfinished. But the process in this case was very different and with more time for design. Also, the mayor of Boca del Río is very passionate about art in general, and the orchestra in particular, so I knew we could work in a different way. 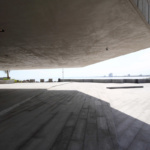 To me, the most important part of the Cineteca project is the exterior space, the places where people gather and where unexpected things occur. For that reason, in Foro Boca, we fought to include the exterior plazas as a key part of the project. Each project creates different experiences, but both have exterior spaces that are very successful. 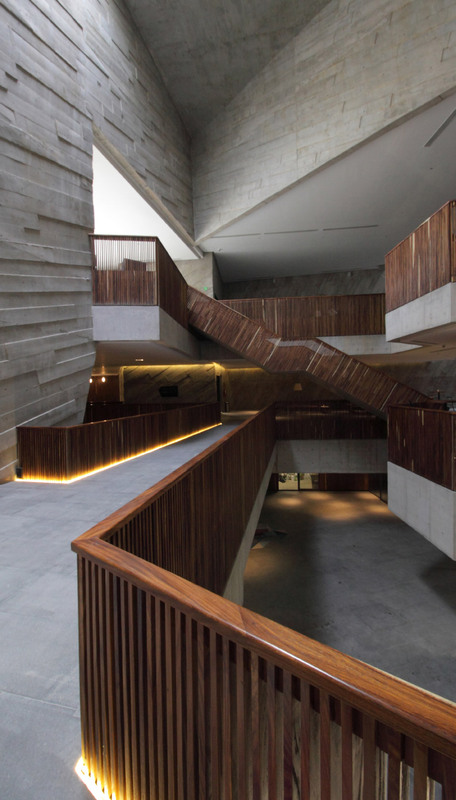 When film director Peter Greenaway visited Cineteca Nacional, he pointed out that the gardens were his favorite area, as they were the spaces where the quotidian happens. 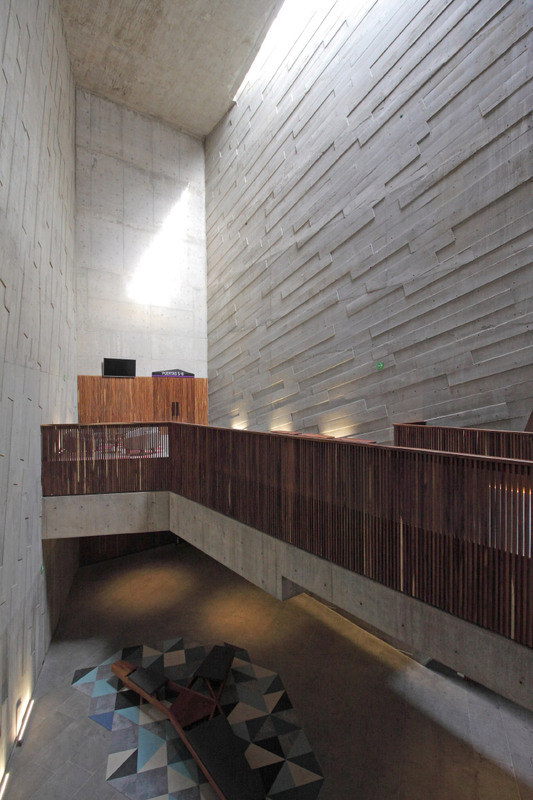 Foro Boca is a project that synthesizes the ideas and lessons we learned from Cineteca Nacional. 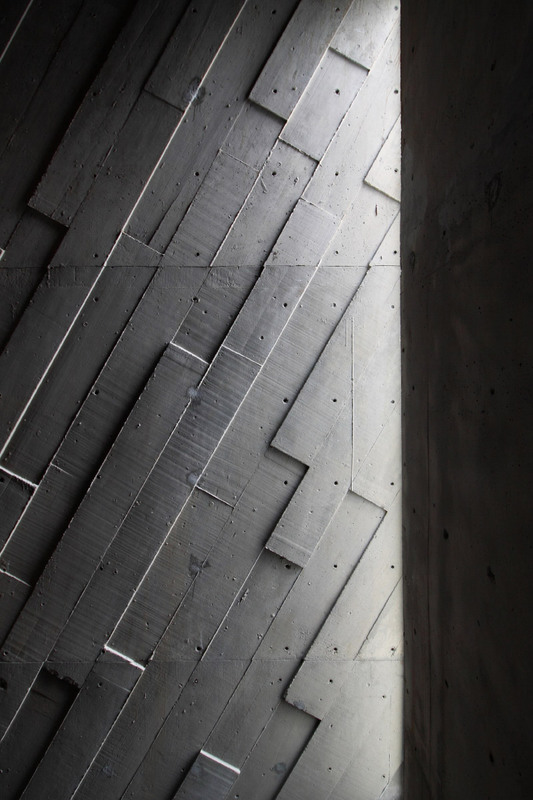 It is a building that is distilled to very few elements, creating a powerful experience that you feel is part of the site.